I guess with only 5 home games, they didn't want to put the Rice game right after Southern. 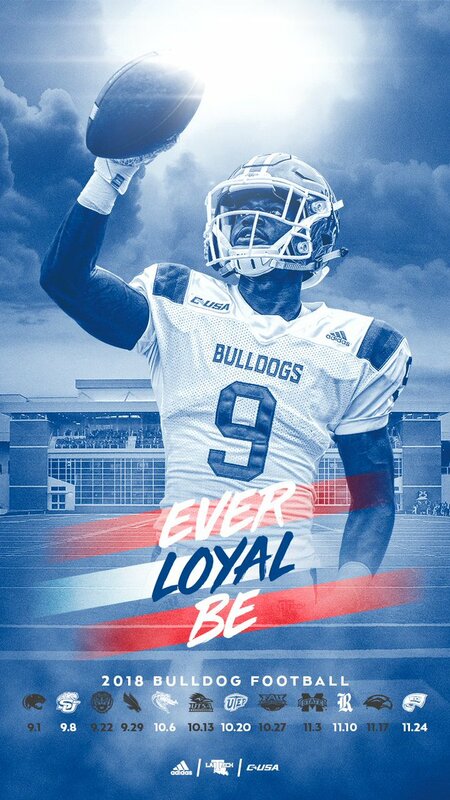 On Tuesday, Conference USA officials announced the league’s 2018 football schedule, which officially completes Louisiana Tech’s 12-game slate for next fall. My opinion of the schedule. I don't like the early bye week, but with only 5 home games, TMac probably didn't want back-to-back home games at any point. I don't like LSU/UNT back-to-back. I'll have to pick one of the two to attend (probably UNT). I like the date of UTSA game - Caddo Schools has a fall break the M-W after, so maybe a family vacation. We better get our wins early with FAU/MSU/USM/WKU in last 5 weeks. Of course we have the dreaded after Thanksgiving game. 5 home games and one during quarter break, huh? That might work out well for me personally, but I hate that for the students. I think the #RivalryWeek concept needs to be explained to the Conference USA schedule-makers. According to documents obtained by the Hattiesburg American via open records requests, Southern Miss will receive guaranteed financial payouts of $1.7 million for the game at Auburn later this year, $1.2 million for the date with Mississippi State in 2019, and $1.85 million for playing at Alabama in 2019. Gotta return those one-for-one games sometime. I've got no problem with that game (or series). And I'm coming around on this NC State stuff I guess. I like playing P5 teams at home, and I'm ok with 2-for-1 deals sometimes (as long as the 1 $ game we get is reasonably compensated). I'd love another season with 7 home games, but I think I'd rather us have 6 every year than alternate between 7 and 5. What I get scared of is alternating between 5 and 6. I like it. Labor Day weekend is before Tech starts school, and Gulf Shores/Orange Beach is just a short drive from Mobile. Labor Day weekend is the perfect time to return the South Alabama game. Yeah. Our academic schedule means we want to open on the road. I wish the conference would throw us a bone more often on Thanksgiving. Looks like a tough schedule stacked at the end. Seems CUSA folks would at least let us play away on last game of season at least every other year. Also hope we are done with FAU & Western Kentucky after 2018. Ready for home & home series with Old Dominion & Charlotte.